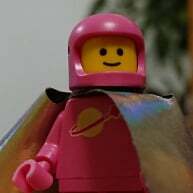 Anyone off to Brick 2015? We've just bought our tickets for the Saturday, but the prices have jumped up. VIP tickets are now £69 each, and GA tickets are £22, and have staggered entry times. The most disappointing thing is that while they have made Thursday an AFOL only day (which is a great idea), you have to buy a £96 ticket to get in. It does give you entry on all four days, but if you only wanted to go for one day, it's pretty extortionate. We had plans to do a visit on the Thursday to avoid the crowds, but now will have to go at the weekend. I'm still happy to be going, it just seems a bit daft that prices have risen that much. Do you have any links to info? That sounds disappointing. I too was hoping to visit on a weekday. http://brick.seetickets.com/tour/brick-2015-built-for-lego-fans-/ This is the link in the email I was sent for presale - general sale starts tomorrow. We did the Saturday last year and loved it, but slightly bemoaned the lack of adult building opportunities - the brick pits looked great but obviously full of kids. In one respect, having an AFOL day is perfect, but I don't see why you can't just buy a ticket for that one day. So near and yet so far. From the ticket info I've seen it is essentially a three day show this time in regards the general public. Friday opening is at 2pm until I'm assuming 9pm as it was last year. As an exhibitor I welcome the shorter Friday. It was a long slog in there Thursday/Friday from 10am until 9pm. From memory if you combine the visitor numbers from Thursday/Friday they would still have been less than attended on the Saturday or Sunday so I can see the logic of dropping a public day. The Thursday looks to me to be an AFOLCON day. I can definitely see the logic in it - we knew that Thursday had been quieter from pictures and we'd spoken to a couple of people who'd been that day, and due to the possibility of a quieter day we'd planned to go for it. Plus with Friday still being a school day, having later opening times makes sense. It's just the pricing I have issue with. Ah Afolcon day, ok. Wonder if I can manage that this year. I'm only guessing here but looking at it I would think it's AFOLCON/Set Up all day Thursday and then the same Friday morning before the public arrive at 2pm. I will certainly be going although I don't know it what capacity at the moment. I thought last year's arrangement with an AFOLcon ticket allowing access for the other exhibition days was great, but AFOLcon 2012 was better than the 2014 event in my opinion. My biggest criticism would be for the dates of the show. I am sure Warren has got the best dates he could, but December seems to me like just about the worst time of year to hold it. ^ It did strike me as odd being just two weeks before Christmas. Its a fairly busy (and expensive) time of the year - school nativity plays, carol concerts, family to see, friends to entertain. I believe it's the only dates Excel had available to accommodate all the space Brick requires! I wonder if the closure/demolition of Earls Court has put more events over to Excel making getting good dates harder - I know that Earls court and Olympia are owned by the same group but a lot of event organisers didn't like the location of Olympia as much as Earls Court. I'd forgotten about Earls Court closing. There was quite a bit on last year at the same time as Brick, but I guess it's an ideal space to put in things that Earls Court has lost. Didn't think about AFOLcon as that passed me by last year. Correct - Warren has confirmed this. ^ That doesn't surprise me at all. Convention centre space is pretty competitive I believe. However, by the time it rolls around I am sure lots of exhibitors will be glad of the delay! I'm considering attending Afolcon and visiting on the Friday. By the way, thanks OP for posting the details! Does anyone know the opening times for the Friday? I want to get Friday tickets to avoid the crowds but if we only get 1500 til 1800 then I'll get Sunday ones. Thanks @cheshirecat for the times, Friday tickets it is. So my hubby and I really want to try to go to Brick this year, Italy is much closer than trying to go from the states. We watched the video on Brick's website, but it didn't show us a whole lot. What should we expect? Is one day enough for us to see everything? Yes it should be. You will spend a lot of time there though, if you do want to make sure you see everything. @hkcrazy88 When I went last year 3 hours was not enough time to view everything. There were so many MOCs, pits to play in and things to be a part of that a full 6 hours would have been more appropriate. If you wanna stop and chat to the builders, I'd recommend puting aside an entire day. You can cross London with ease so I will highly recommend visiting. @hkcrazy88 One day is definitely enough, we took nearly a whole day but we pretty much saw everything. What do VIP visitors get that regular visitors don't? @Britcom there were a few bits in a goodie bag, but the biggest thing for VIPs is the early admission. Anyone going on a weekend day who can afford the VIP entry I'd definitely recommend it, It gives you an hour or so where you can really look at stuff without massive crowds. @Shib cool, thanks for info. At £240 for a family of four I'm not sure I'd go as far as to say I'd reccomend it. That hour goes quickly. Overnight the Voice of Reason has spoken to me and has made me think I'll just go on the Friday. £120 (when I factor in my transport costs) just for one day at Afolcon makes it seem pretty expensive, especially when you've no idea what kind of talks, sessions or activities will be held. If I could know for sure what was happening I might be tempted but having heard reports that Afolcon 2014 was not a patch on 2012 (which I thoroughly enjoyed) I think I'll just pay about £40 for the Friday and spend the rest on bricks. Fair point if there's a lot of you. I wonder if they thought about moving it from London at all? There must be other convention centres that could accommodate it and probably at a better time of year. I was disappointed to see it move from Manchester (or what was the lego show) and could probably justify a trip to the Midlands or similar. But London just adds another cost onto what already seems like an expensive ticket. VIP or not almost everyone I spoke to over the four days of last year said they had a good time and thought it was great value for money. The only issue I saw was the crowds at the weekend. There are loads of people complaining on their Facebook page that it's in London. To me it makes sense to have it in the capital city. I do get that it's a pain for some people to travel to, but London has a good transport network (ok it could easily be better but it's much better than some other places) and they are getting international visitors as well. I can see the logic in having something similar somewhere like the NEC but the way some of the Facebook posters are moaning about it just makes me want to reply "Why not organise one there yourself?" - fortunately I have that side of me reigned in these days and just leave them to it. I'd say that now more likely than moving out of London would be to start a sister event, it's what often happens with conventions etc that get really big, if it becomes profitable to make running such events as a full time income they generally start moving to two or three a year in different venues around the country. The difficulty for Brick would be getting the same exhibitors excited about going to different locations without putting them off exhibiting at all of them - as in with more choice of where to exhibit they might just choose to do the one closest to them and not bother with London. Probably silly question, but from a bit of a newbie: How long in advance do you need to get your tickets? Does this really sell out? ^ The weekend tickets sold out last year but tickets weren't so in demand that they sold out the day they went on sale. I wouldn't recommend leaving it to the last minute, but otherwise you should be alright. I think the numbers speak for themselves. London drew in four or five times the volume of paying visitors and at a higher ticket cost. For a commercial organisation, that's the bottom line. Is that down to location or timing though? Lego's popularity has increased dramatically over the last few years, so they should expect visitor numbers to go up wherever it is held. Saturday and Sunday were pretty much done by mid October last year and a few did change hands on ebay for silly money. The cost is down to the individual. As @Martin points out this is a commercial show and there is nothing wrong with that. Just like every music gig you go to or theatre performance etc. This isn't the only event happening this year. If you feel this is to expensive or to far away then you have Leicester, Wakefield, York, Sunderland, Portsmouth, Bristol, Swindon and who knows what else might pop up in the calendar. None will be as big as Brick but that doesn't mean you won't have a good time. It depends what you do - last year we stayed at the end of the DLR and transport was so easy, staying outside of London was definitely the right thing for us to do. Crossing London right before Christmas will be a bit rough though. It was definitely very crowded on the weekend, but it wasn't too bad that we couldn't see everything we wanted to, and it was good to see so many enthusiastic people, everyone was nice. Even the queue to get in at 11 wasn't as bad as I thought, we got through it pretty quickly. My guess would be location. ExCeL (and previously the O2) also have massive marketing machines which Event City didn't have. Now it is established, the show could possibly move but I'm not sure why Warren would want to, knowing visitors to shows like this have a high propensity to return. Thanks to all who replied about availability! I've been mulling the ticket prices over for most of the day now and it seems to me there are a few glaring problems with the ticketing as it stands. I'm not going to rail on price increases, because actually that's something that every event has to do, and I don't have the full prices from last year to compare completely - if anyone has those I'd be interested in seeing the difference. The big issue is that the prices don't really make sense. AFOLCON ticket £95 gets you entry to all four days including an AFOLCON only day and additional evening stuff. The VIP ticket sticks out like a sore thumb in terms of not being good value for money compared to the others. Obviously not everyone is able to do multiple days so the AFOLCON ticket looses out a bit there, but the increase from VIP to AFOLCON is relatively small for the extra stuff you could get from it. I'd say even doubling the price of a Standard ticket for a VIP ticket is a bit of a stretch. Other events will do something like a two hour early entry ticket for £20 against a standard ticket of £15. I don't think it's worth directly comparing prices of events but the difference between tiers of price is more valid. I'll very happily retract my earlier comment about the value of a VIP ticket, perhaps the better advice is if you can make it Friday then do, otherwise get there early for the queue on the weekend. Obviously I'm basing all of this on last year, it's possible that they've got something better worked out for the VIPs this year, but if it was me I'd rather buy the £20 ticket and have and extra £40 spending money. Also why would someone choose a later time and pay the same money for it when those taking the earlier ones don't have to leave at a set time? I think they initially tried something similar last year and scrapped it. Might be supply and demand. IIRC last year they sold about 5 afolcon tickets (everyone else was exhibiting) so lowering the price might be to help with that (although I think those that did pay thought it was pretty awful). VIP tickets seemed to sell very well, so perhaps the feeling is that the demand is there so it can take a raise. Does anyone know if its physically bigger this year or the same size? That's a fair though, but I suspect if that's the case it's likely to backfire and effects the VIP/Standard ticket ratio more than the AFOLCON/VIP ticket ratio. I've told Warren there's a health discussion about prices ensuing and I am hoping he'll pitch in or provide more information. If it was me running it, there's no way I'd move it out of London, especially given the popularity of it last year. There's just so many more people within, say, an hour or an hour and a half's travel than there is anywhere else in the country. It's as simple as that. I think it was about £17 for normal tickets and £43 (?) For VIP. The standard ticker markup seems fine to me because I thought last years price was pretty cheap, but the VIP increas surprised me a lot. I see Warren has confirmed the event will be 40% bigger this year than last. Although it was rammed last year was it a lack of physical space or a lack of stuff to see/do that made exhibits/shops really busy? Down at our end it didn't seem so cramped, it was busy but there was space. If all that happens is there's extra space will that help or does there need to be more to do. There was already a lot of non-|Lego stuff (the kids disco, the go-karts, the strange Christmas shopping market thing). I see that there's a LEGO museum mentioned but little else - true its almost a year away but people are buying tickets. Also, are the ticket numbers staying the same as last year or will there be a 20%, 40% increase in ticket sales to go with the 40% increase in space?